Below is an overview of the services and solutions Coachmaster Collision provides. We have been serving the auto body and paint needs of Northern California for 50 years. We offer cutting edge technology but still take pride in our old world craftsmanship. We can repair anything including dents, scratches, fiberglass repair, aluminum repair, frame repair, and collision repair. As vehicles become more advanced, you need a collision repair center that has the right diagnostic equipment, and the right mechanics and auto body specialists to get the job done the right way, and the first time. Aluminum and fiberglass repairs are common services at Coachmaster Collision as well. 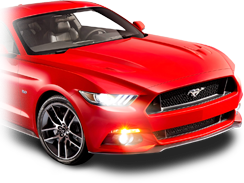 Our employees have many years experience repairing collision damage to vehicles. 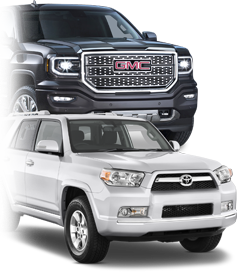 We have the equipment and technicians to handle the size and the specific issues that can happen with your truck or suv. Our paint department is known for high-quality paint jobs and excellent color matching. Coachmaster Collision is also recognized by the insurance industry for repairing difficult colors and multicolor designs on custom vehicles and recreation vehicles. 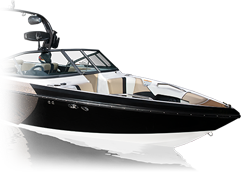 Coachmaster Collision has been an insurance-approved marine repair facility for 50 years. We specialize in hull collision damage repair. RV repair, specifically motorhomes and big camp trailers, require skills and equipment that are not typicaly found in just one occupation or one business. Steel and aluminum are used in the structural components of RVs. Metalworking skills and equipment are required. If damaged in a collision, body and frame repair skills are required. Specialized equipment have to be big enough to handle these vehicles. Mechanical skills are required to repair the steering, suspension and drive train. Fiberglass is used in many panels. These panels need the expertise of a technician that understands the stresses and flexiblility of fiberglass to insure the repair will be permanent. RVs are also comprised of wood. Carpentry skills are required, plus wood working equipment. Other skills required are the ability to repair interior trim, paint, wallpaper, and electrical component replacement. 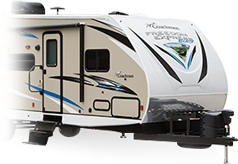 All this skill and equipment is available at Coachmaster Collision, RV Division. Home of the largest frame machine in Northern CA. Celebrating 50 years of expert service.